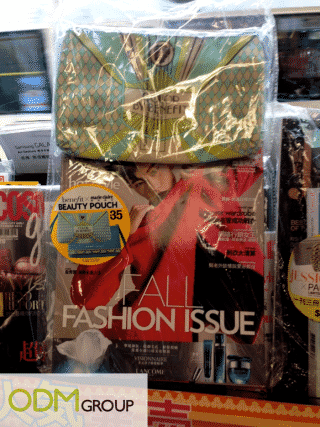 Ever wondered why different magazines offer certain promo gift items? Read on to find out more! Every single time you pass a magazine stand, certain magazines are sure to catch your eye more than the others. Why so? Well, it is because these magazines tend to be the ones that come along with free gifts, making them stand out from the other magazines available. 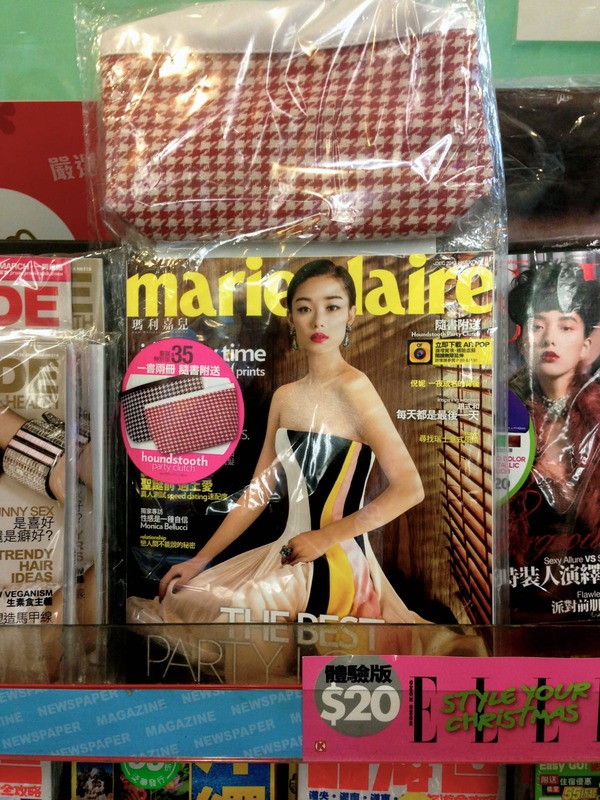 For instance, in the month of December, Marie Claire offered a houndstooth clutch as a free promo gift. This clutch comes in two classic colors, red and black, and is the perfect match for any outfit! This promotion was targeted to tie in with the Christmas season and festivities and therefore such a design was chosen for the clutch. This careful execution of the promotional campaign caused it to be highly successful one as many customers were drawn to purchase the magazine due to this promo gift. Before diving into the different types of gifts offered by the players in the magazine industry, let us first take a look at the benefits of offering promotional gifts! Why offer a promo gift? There are many reasons why a company should carry out gift with purchase promotions! Firstly, such promotions help to boost the sales, which is crucial to every company! The concept behind this is simple; every customer wants to get the most out of the purchase. Therefore when they notice a free item being given away with the purchase of another, they are more inclined to go for it as compared to an item that does not have a gift. This will definitely increase the sales revenue generated for the company and will lead to greater profits! Secondly, offering gift with purchase also helps to increase customer satisfaction. A free gift with purchase makes a customer feel that they have gotten their value of their buck. It also allows customers to feel valued and appreciated by the brand. In the long run, this helps to build up customer loyalty which will be beneficially as customers make repeat purchases from your company. Now having understood the rationale behind offering free gifts and the benefits that they can bring for your brand, let us proceed to analyze the type of gifts offered by the different magazines. Promo gifts that other magazine brands have offered! Beginning with the most common magazines available, female magazines tend to offer their readers products that are aesthetically pleasing and stylish. The functionality of the gift tends to be ranked second with the most emphasis being placed on the design of the product. However most gifts offered tend to encompass both factors and thus commonly offered gifts include cosmetic pouches, clutches or tote bags that are trendy yet highly functional! 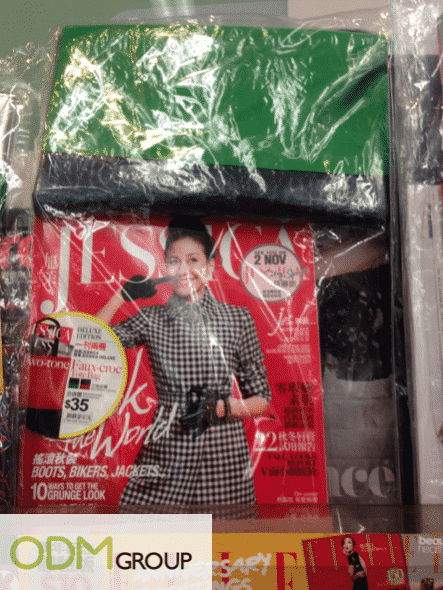 For example, in the month of December as well, Jessica Magazine is offering a duo-tone metallic pouch. The pouch comes in 2 different color combinations, making it extremely wardrobe friendly and versatile. Ladies will certainly be happy to receive a gift like this that can be used on so many different occasions due to the duo-tone functionality. Jessica Magazine has also offered other gift with purchase items like this in the past. In the month of November, it offered a duo-tone faux-croc promotional tote bag to its customers. This can be perceived as another marketing technique to release products in the same style so that people who are interested in this series might be interested to collect the entire collection. Ladies magazines also tend to collaborate with name cosmetics or fashion brands when offering promo gifts. Two good examples would be a make up bag collaboration between Marie Claire and Benefit Cosmetics and another pouch collaboration between Cosmopolitan and Cath Kidston. By working together, both companies will be able to leverage off each other’s strength and to maximize the marketing efforts! This also allows the companies to pool the resources together and share the costs of the promotion. It is important to offer promotional gifts that complement your company image and the products that you are selling! Therefore food magazines tend to offer promotional items that are extremely unique in nature. 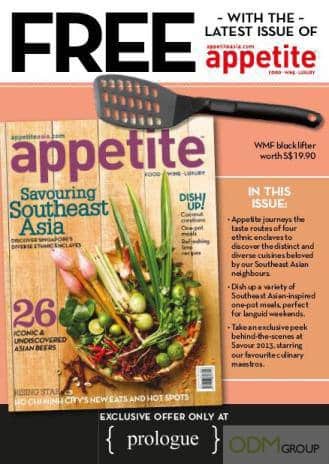 For example, Appetite magazine offered its readers a spatula as a free gift with purchase. This is not the typical gift you would see being offered, however this works for the magazine because it will appeal to their readers. There are two key benefits of offering such items; firstly customers will value the item even more because it relates to their interest. Readers of Appetite magazine are interested in food and cooking, thus by offering a kitchen utensil instead of a notebook or pen; customers will definitely appreciate this item more! Next up are the news and business magazines such as Time and Fortune Magazine. Such magazines tend to offer their readers promotional gift items that are more high-end. 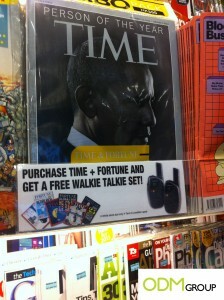 Take this promotion for example; Time and Fortune Magazine collaborated in a joint giveaway where if one purchased both magazines, they would be able to receive a free walkie-talkie. This gift is definitely more expensive than the regular promotional gifts offered by other magazines. Therefore such unique gift offerings help the magazines to stand out from the others. It also makes clients excited about upcoming publications, as they will always be anticipating a new and interesting gift! Last but not least, educational magazines such as science or nature magazines offer their readers or subscribers pretty nifty promotional products as well! The gifts offered are often educational in nature as well. 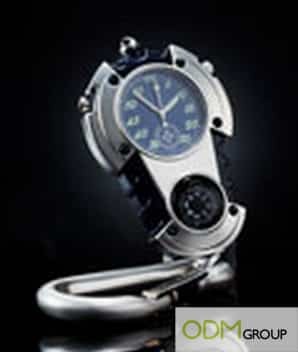 For instance, the Australian Geographic Magazine offered a multi-purpose watch that comes along with a carabiner and a compass. This gift is extremely useful and comes in handy when one is exploring the great outdoors after reading the magazine. One can use the compass to explore new places and to discover nature on their own! Their promo gift also help aid readers in their desire for exploration and adventure. 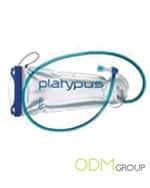 For example trail magazine, which offers inspirational walking guides to readers, gave this free Platypus Hydration 3.0l system as a gift with subscription. This hydration system is a very practical gift for the outdoor enthusiasts who need to hydrate themselves as they hike. By offering such gifts, readers will now be better equipped for their own adventure.